Francis Ellen Watkins Harper was a leading black poet, novelist, and abolitionist during the Civil War era. Born in Baltimore in 1825, she was brought up by her uncle, the famous free black activist William Watkins. After publishing books of poetry, she joined the abolitionist movement and worked on the Underground Railroad in the 1850s. She also challenged racial segregation on Philadelphia streetcars and publicly supported John Brown. After the Civil War, Harper advocated women's equality. At the time of her death in 1911, she was one of the best-known African-American writers in the United States. 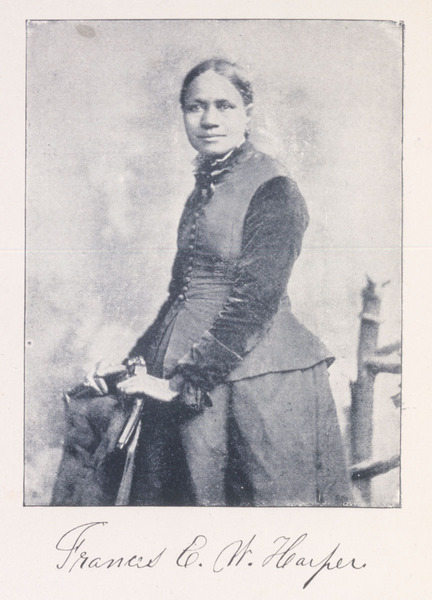 Graphic: Frances Ellen Watkins Harper, from “Iola Leroy, or Shadows uplifted” (Boston, 1892). 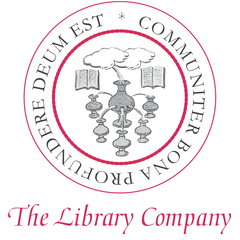 CLICK HERE to view record on WolfPAC, the Library Company’s collections catalog. Document: Francis Ellen Watkins Harper, “Poems on miscellaneous subjects” (Boston, 1854) pp. 14-5. 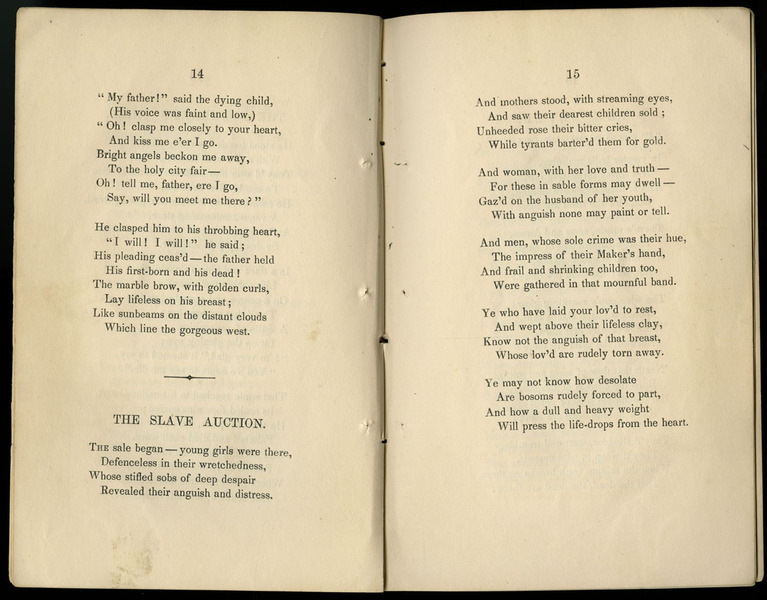 Poem titled “The Slave Auction.” CLICK HERE to view record on WolfPAC, the Library Company’s collections catalog.